The Mae Ping Imperial hotel is well located, clean, comfortable and offers a marvelous breakfast with so many options. The pool is great as well. 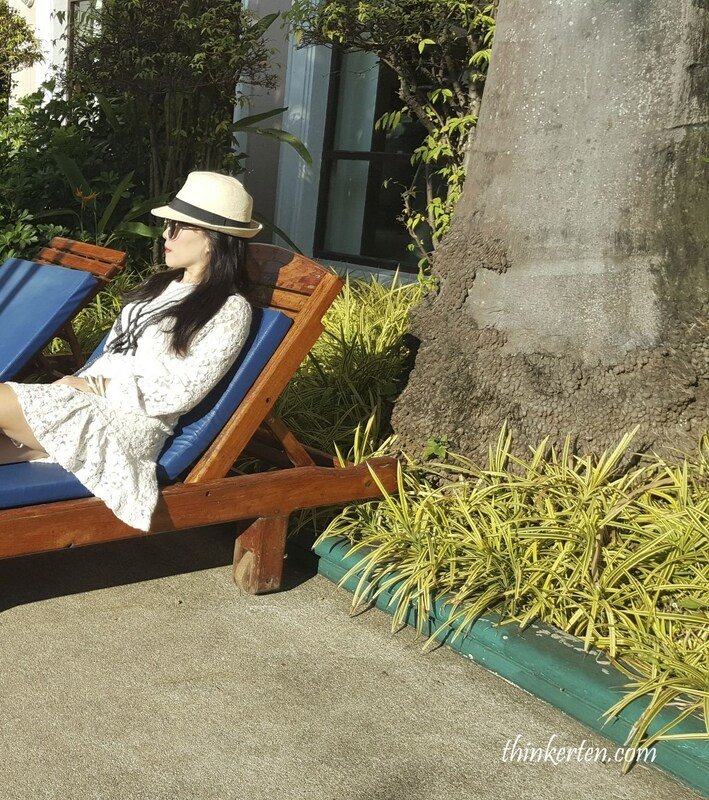 I had a short rest beside the pool after the morning breakfast. I took a tuk tuk to drive me to town, just 5 min and it cost 100 baht. 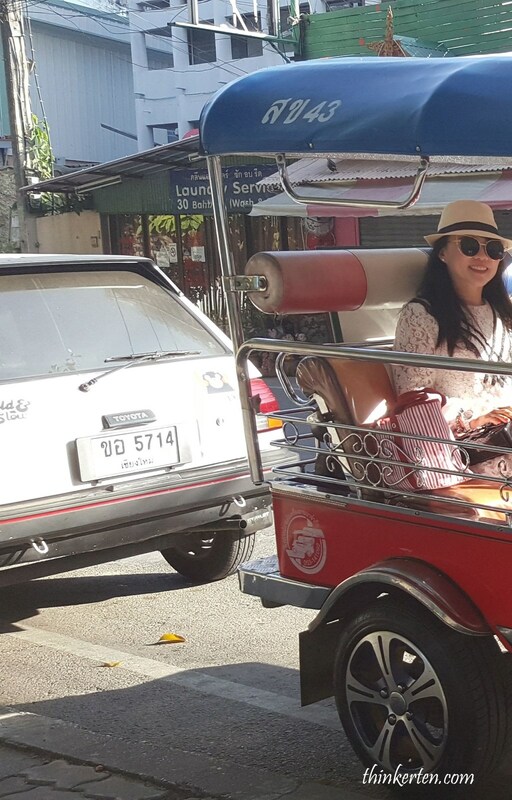 Tuk tuk also called as sam lor’ (three-wheeled), is Thailand’s iconic transport vehicle used to be everyone’s favorite way of getting around. I asked Tuk tuk to stop me at The Phae Gate, which was the east gate of Chiangmai. When I reached there in the early morning I saw many birds were waiting for the tourists to feed them. Tha Phae Gate is the east entrance to the old city district. It is part of the wall that surrounded the city at its founding. Their purpose was to protect the city from Burmese invasion. They also symbolized the seas and mountains of Thailand. 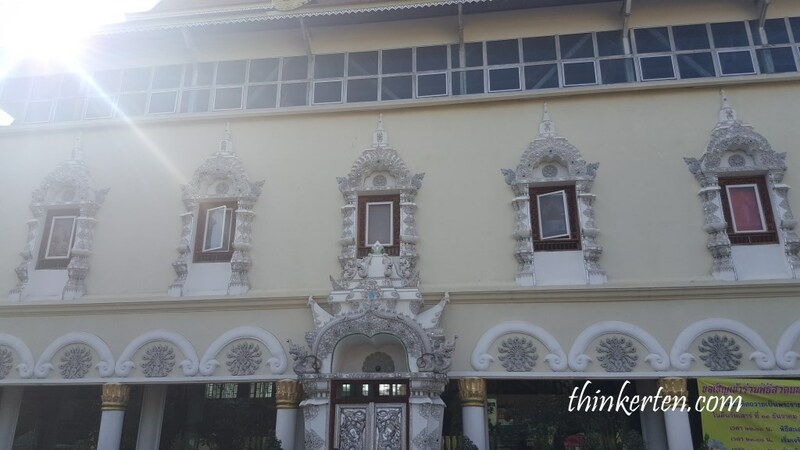 Historically, it was the main gate through which monks, traders, and diplomats want to enter Chiang Mai. I walked past a durian stall on the roadside. Durian season in Thailand is from around April through August but now it was in the month of December and yet durians were still available. No wonder the price for the durian was so expensive! 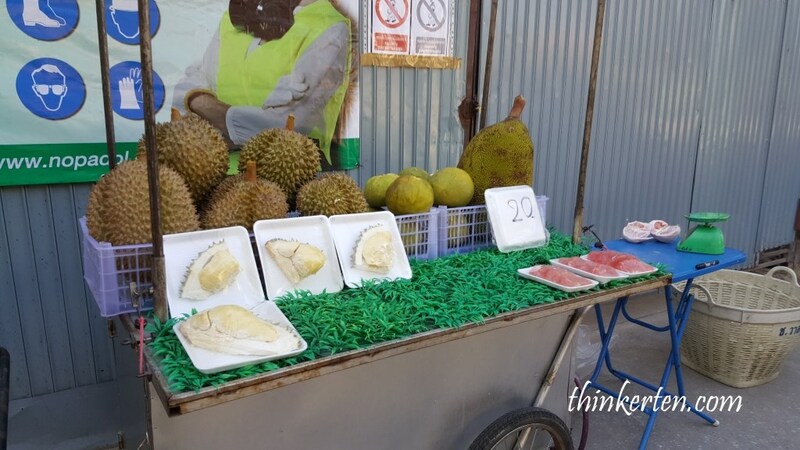 A quarter of the durian cost about 1500 baht. 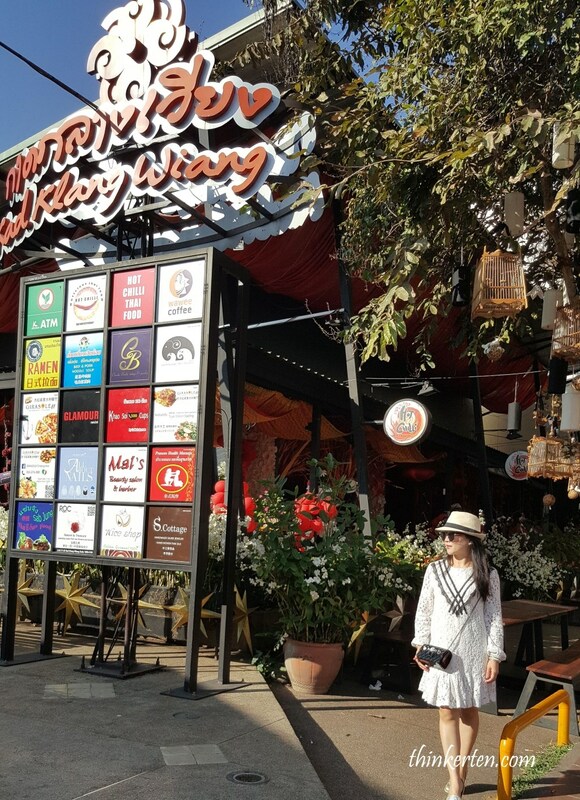 The morning walking market not only offers a great opportunity to see the mostly handmade products of the local vendors, but also a chance to enjoy authentic Thai dishes. 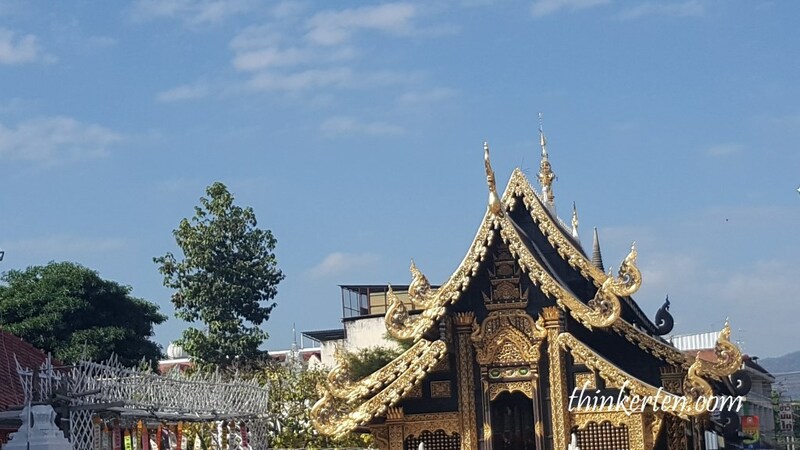 There are many temples in Chiang Mai city, the first temple I visited was Wat Phan Tao, one of the older temples of Chiang Mai found in the old walled center of the city. The first structures were likely built towards the end of the 14thcentury. 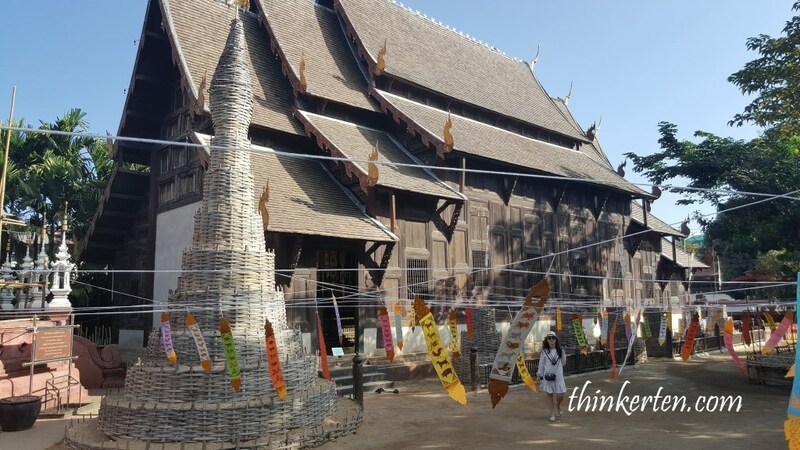 Wat Phan Tao, meaning “temple of a thousand kilns”, you can see wooden building constructed from teak panels set on a stone base. 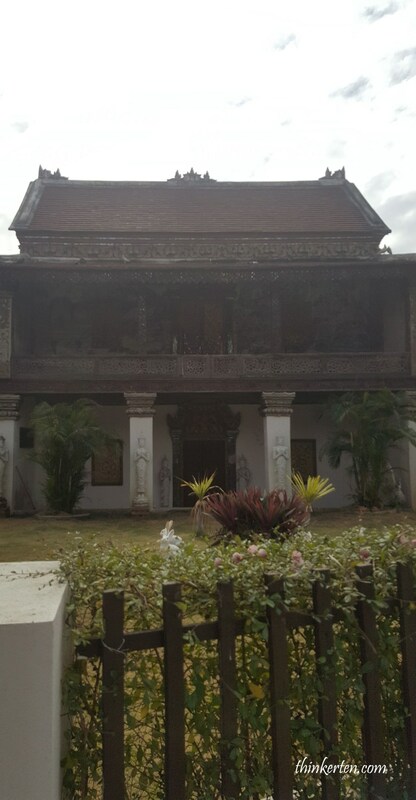 It is one of the few remaining all wooden structures of its sort in Chiang Mai. I saw some young monks chatting in the courtyard and it make a very nice picture. 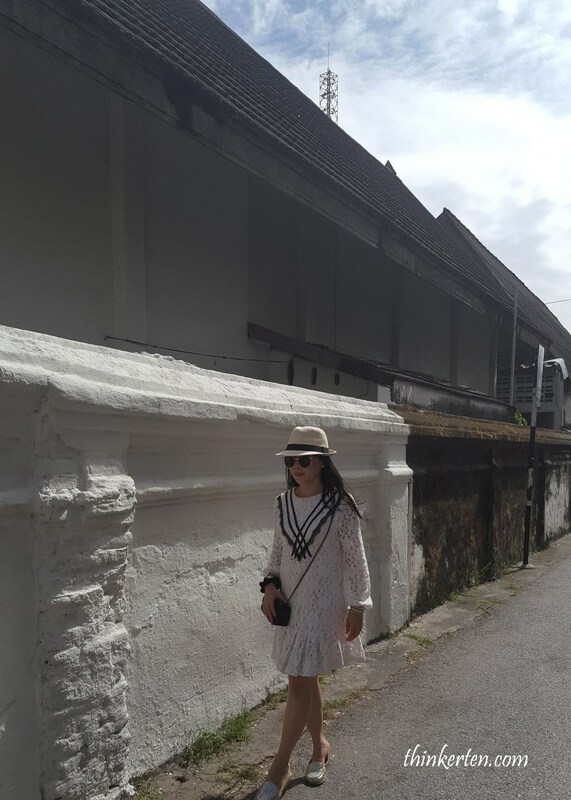 I was really enjoying the lanna temple style which was hard to find these day. The wooden structure, the wide use of bamboo in the grounds, the little pond and the umbrellas was very unique. It was a peaceful and calm experience. I saw the three cool looking status not far from the Wat Phan Tao temple, its the Three King monument. According to legend, the three worked together to lay out the city of Chiang Mai. 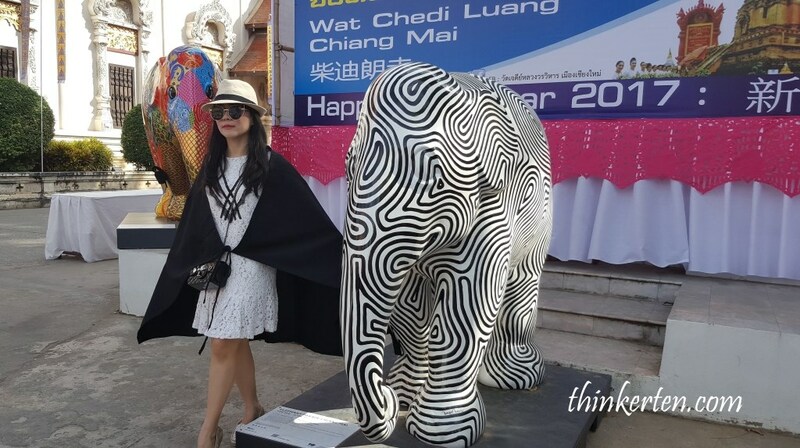 The sculpture has become something of an iconic image representing Chiang Mai. 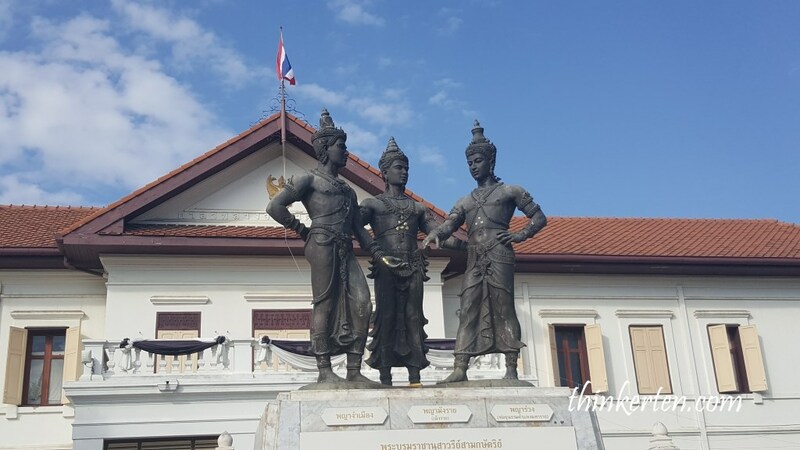 Standing in front of the Chiang Mai City Art and Cultural Centre, Three Kings Monument was erected to immortalize the 3 Kings who together were responsible for the founding of Chiang Mai in 1296. I passed by some nice architecture building in the Ching Mai city and this one look like a museum to me. 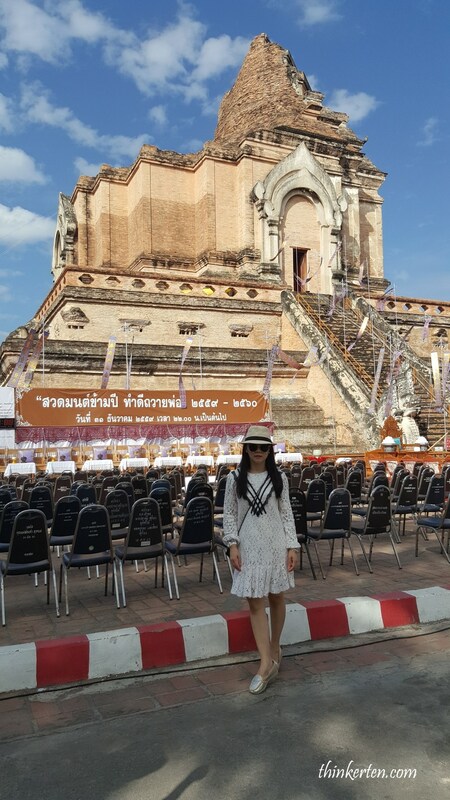 Next I arrived at Wat Chedi Luang, there was an entrance fees but it was worth to get it. 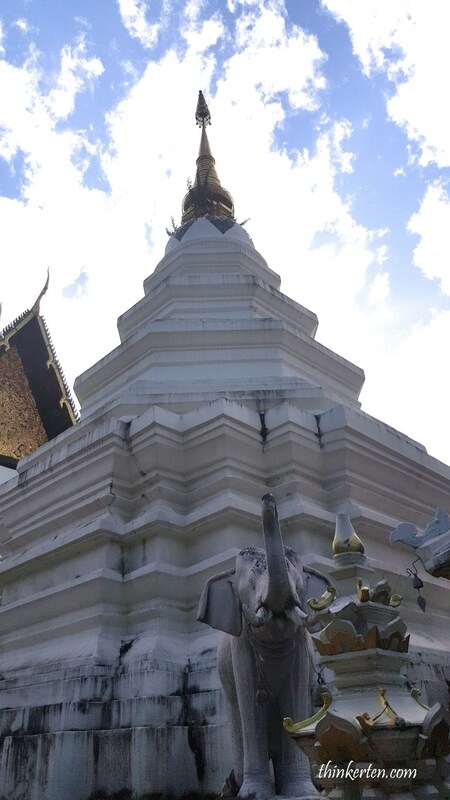 This was possibly the largest structure in ancient Chiang Mai, but the top was destroyed by either a 16th-century earthquake or by cannon fire during the recapture of Chiang Mai from the Burmese in 1775. I was given a black sarong to cover my body. I like this temple because of it is so monumental. I felt more like I was at a ruin than the classical Thai temple. 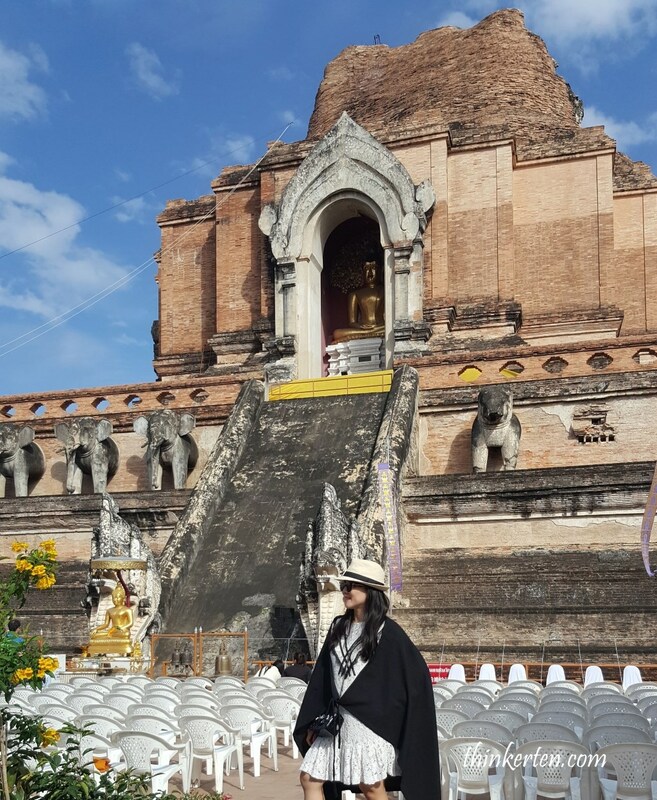 There were many chairs in front of the monument because it was the last day of the year, 31 Dec. Local Thais were coming by at night to do their new year prayers. I walked around the whole area and had a good time. 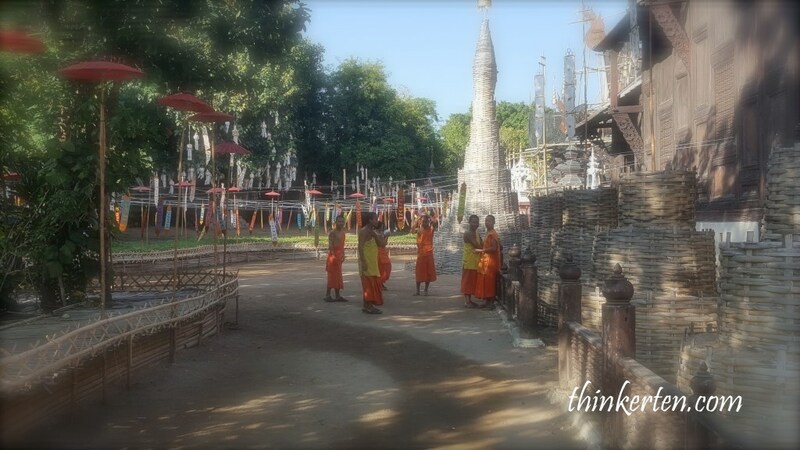 A must see temple as I think it is the soul of Chiangmai and is a ruin with high archaeological value. 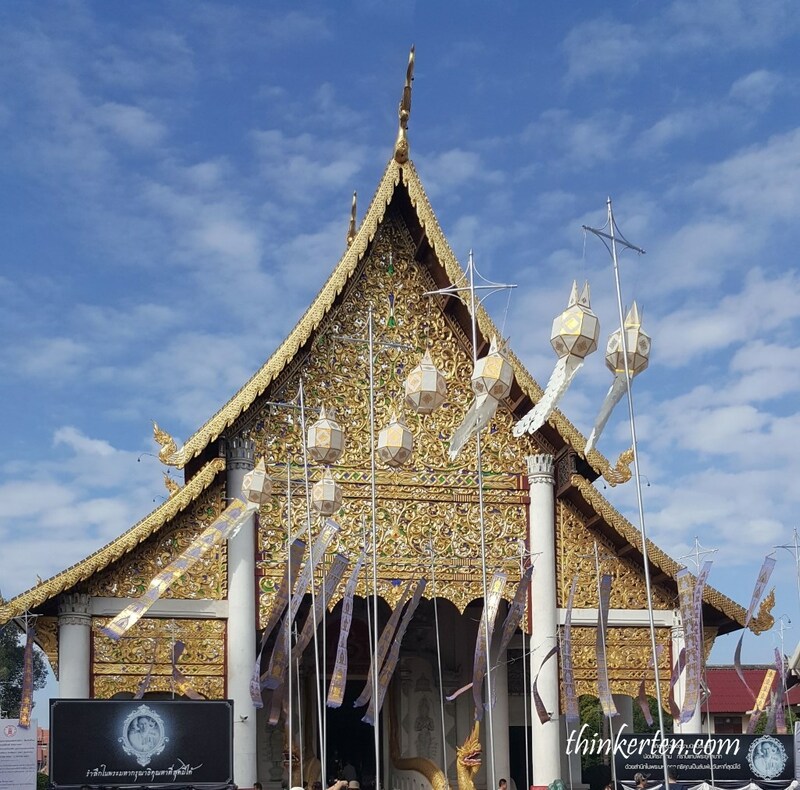 There are many temples in Chiang Mai but Wat Chedi Luang is definitely the cream of the crop. Next, I stopped a little while at another temple, called Wat Thung Yu. This is a nice temple but without any major standout features. 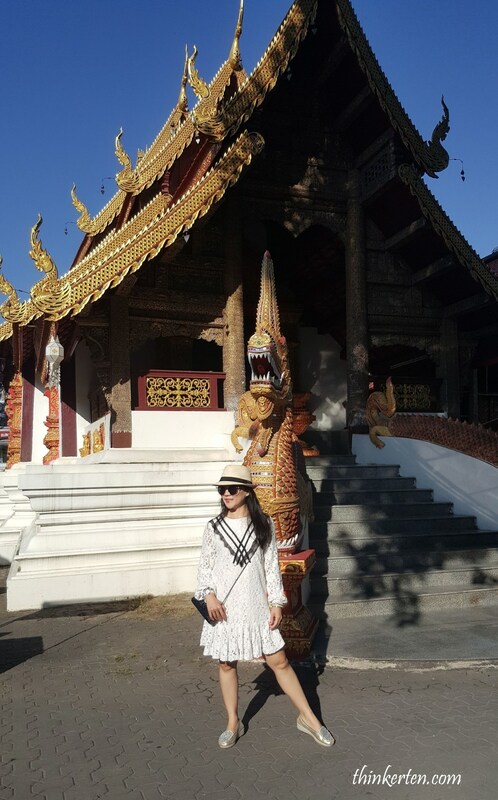 Wat Phra Singh or (temple of lion Buddha )is an important Buddhist temple in Chiangmai. I know I have visited many temples this morning, this one I wouldn’t want to miss too. It was also one of the popular temples among the local and foreign tourists, an early visit was always good to avoid the heat and the big crowd. 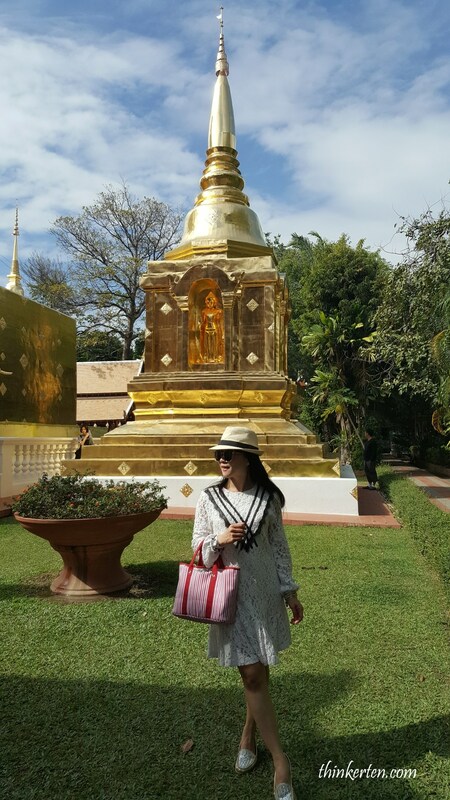 This temple has many gold and the golden stupa behind me was stunningly beautiful. After all the temples visiting, I walked on the old town Chiang Mai to get some lunch. 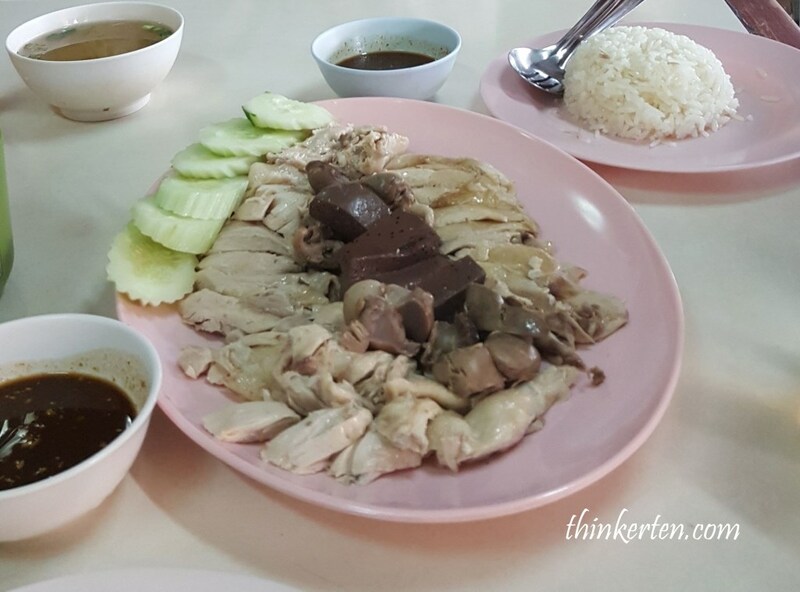 I saw many local Thais queuing at a chicken rice stall so I decided to give it a try as well. There was a special sauce or gravy for you to dip with the chicken. It was actually tasted like the Hainanese chicken rice, except there was this extra special gravy. After my lunch, I walked back to the hotel, it only took me about 20 -30 mins. 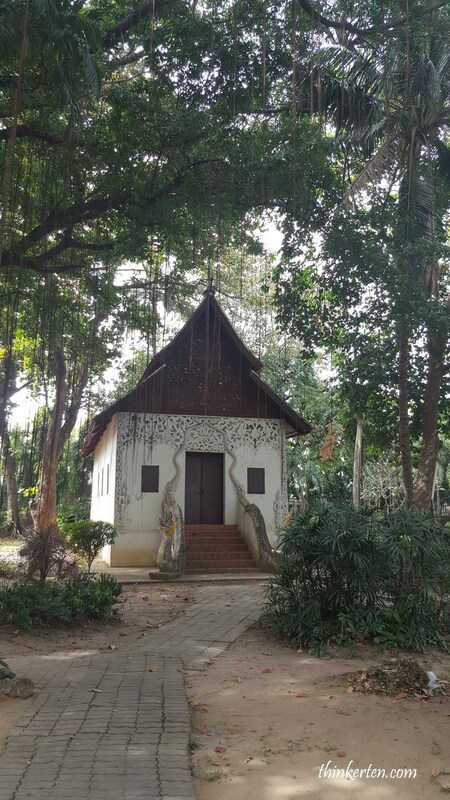 I took some pictures of the old Thai building on my way back to my hotel. My flight back home was 4pm so I left the hotel at around 1pm. I wanted to be earlier because the petrol in the rental car needed to be full when it is returned in the Chiang Mai airport. 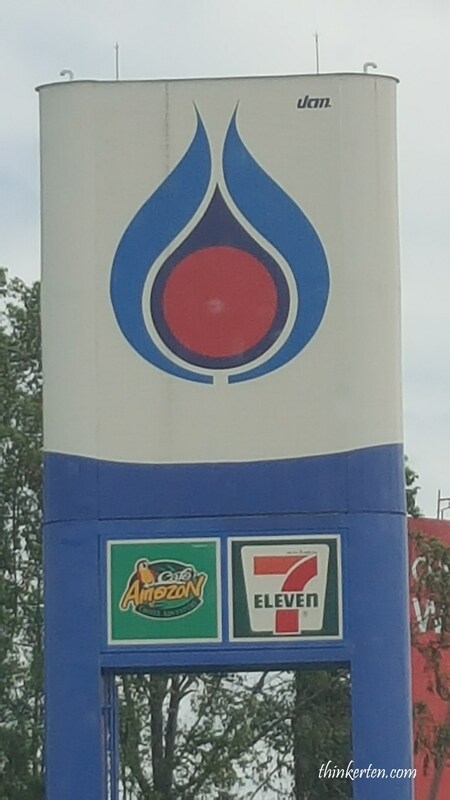 Before I arrived at the airport, there was a gas station 5 mins away with Amazon cafe and 7 Eleven. This time I did not order any coffee from the Amazon Cafe. I filled the gas to full tank and drive to the airport. I was searching the car rental counter in the International Airport but only realized later it was actually located in the domestic Airport. 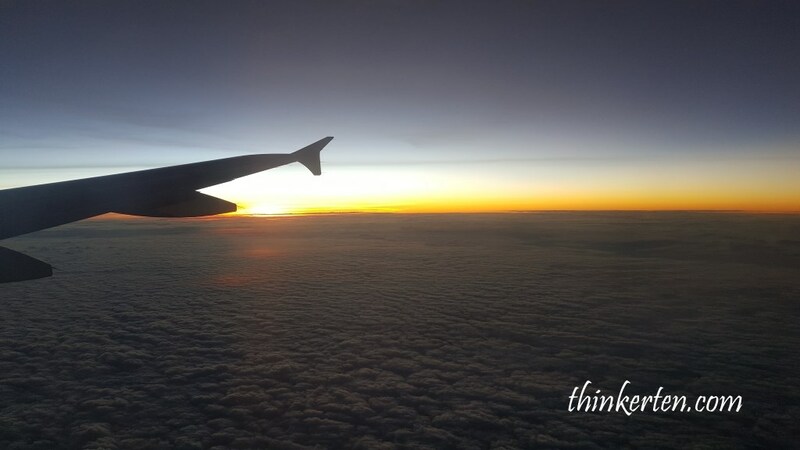 We picked up car rental at the Bangkok Airport and returning the car rental in Chiang Mai Airport and flew back home from Chiang Mai Airport. That marked the end of my Thailand 8 days Self drive from Bangkok to Chiang Mai.